We girls have an entire vernacular that is all our own, and the males in the room often have no idea what we are talking about when we pull it out. Just ask my poor husband, who lives in a household full of girls who, young as they are, have already come a long way towards fluency in girl-speak. 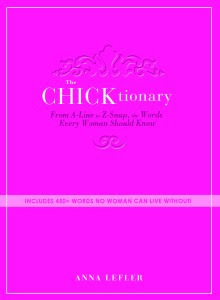 Enter The CHICK-tionary, Anna Lefler's new resource guide which includes 450+ words no woman can live without (though I must say I could live without a few of the more crass words/definitions included). To be honest, I'm not totally sure if the book is meant for women or for men, but I think both would enjoy reading it. In fact, The Maestro and I both had a few laughs by randomly opening it and reading definitions on topics from fashion to relationships and everything in between. He learned a lot and maybe he'll understand all of his girls a bit better now. Plus, did I mention we laughed a lot? This term describes a skirt, dress, or similar garment whose silhouette flares out from the waist, becoming wider toward the hem and creating a shape that resembles both the letter "A" and a teepee, although, for some reason, the term "teepee-line" never caught on. Fitted at the waist and relaxed everywhere else, the A-line silhouette is both flattering to most figures and comfortable to wear. More importantly, however, the A-line will not divulge your figure flaws no matter how much it is waterboarded, unlike other garments that will happily sell your secrets all over town (see also: pencil skirt). Named for its straight, slender silhouette, the pencil skirt is a very popular garment with women who appreciate classic, body-skimming style. It's worth noting, however, that unless you're buying the skirt for your twelve-year-old son, you can expect to make a trip to the tailor because, as a rule, women are not shaped like pencils. 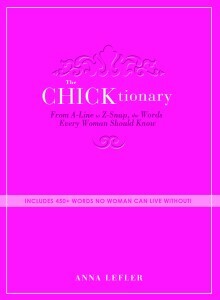 This book is full of fun little definitions just like that, which only we girls truly understand. And as much as I love the one pencil skirt that is hanging in my closet, it only gets worn when I am under a specified weight, and since I am currently over that weight, it is gathering dust, because I am never shaped like a pencil. Ever. And I love me some A-line skirts, amen. The publisher has graciously given me one copy to give away. If you would like to win that copy, leave a comment with your favorite girly word and its definition. Have fun! And oh! 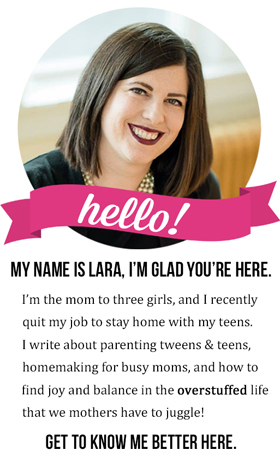 If you want to hear more from Anna Lefler, she has a blog: Life Just Keeps Getting Weirder. I was given a copy of this book by the publisher via TLC Booktours in exchange for this review. 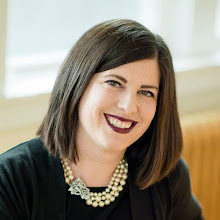 My 5 daughters and I often refer to "Relief Society Arms", which refers to that baggy upper arm skin that jiggles when you lead the singing at church during the women's meeting. I can't even think of a girly-specific word. Doesn't that prove how much I need this book? Especially growing up in a house full of boys?! I agree with Barbaloot....living in a house full of boys doesn't lend to learning girly words....can't think of even one. I'm so glad the book gave you (and your husband!) lots of laughs. I just love hearing that. Thanks again for having me - I truly appreciate it!